First rule of swim club is ‘Remember your knickers’. I had. I hadn't yet got into the pool and I was already winning at swimming. I hadn’t been swimming for years but had been talked into coming to a swim coaching session. 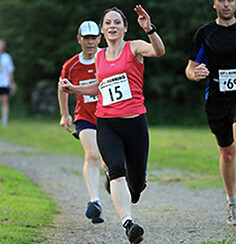 Lozza, a good friend and triathlete, was being coached by Dave Akers, an ex-competitive swimmer (his own words!) and the Masters Coach of Long Eaton Swimming Club and someone who swims crazy distances for fun. 40 kilometres in one go, anyone? Having had no need for a swimsuit before this lesson, the 2 hours prior to getting in the pool saw me dashing around Sports Direct in search of a swimsuit that didn’t make me look as though someone had stuffed a handful of frogs into a condom. Things weren’t going well. Having declined out of hand swimsuits with chains, cut away sections and pictures of animals, I was left with 2 possibles. One of these possible swimsuits had legs. Actual short-like legs. I was sure that I’d read somewhere that proper swimmers had legs on their swimsuits. 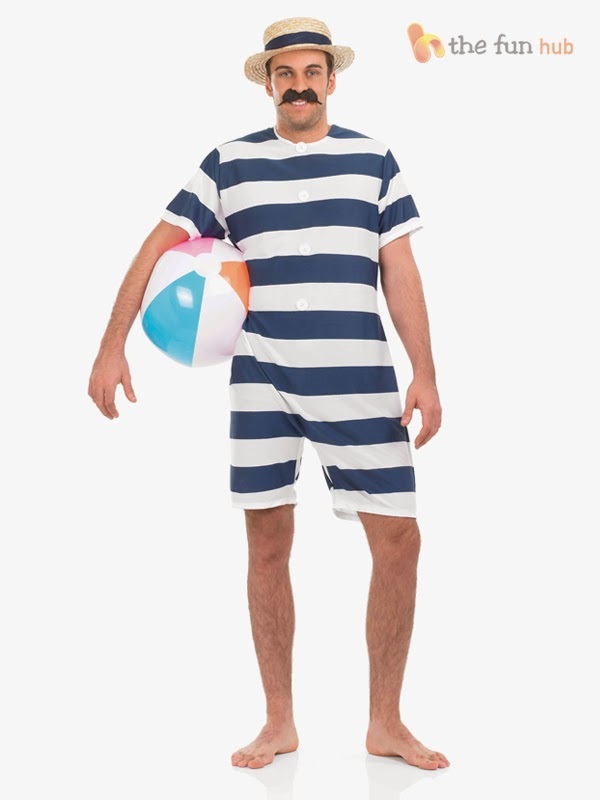 However, after a fruitless search for a straw hat and a fake moustache I decided that I may have got this mixed up with photos glimpsed of Victorian gentlemen in their swimsuits. After the obligatory trying on in changing rooms where the curtains don’t quite reach across and the lighting is strobing akin to that in a school disco, I decided that while swimsuits-with-legs may be good for Victorian gents, they were not my friend. I looked like a cellulitic sealion. I just needed a ball on my nose to complete the look. Thankfully, the second possible, a purple and black swimsuit appeared to be hiding all my lumps and bumps (or possibly that was just the poor lighting) and I was now a swimmer. Well. I owned a swimsuit. I’d remembered from when I was younger that it was easier to get changed into your swimsuit before the session but after several hard-learned lessons as a child – one involving a windy day and the forgetting of Swim Club rule 1 – I had also packed underwear and my towel. I was also the proud owner of one magic hat. Rach had decided a while ago that swimming was to be something I should try. I had accepted the hat unsure that it would ever be used, but apparently the magic had been working on me. The colours shone like a rainbow and I was resplendent like a swimming-Joseph in my hat of many colours. Apparently there’s a trick to putting your hat on. Lozza showed me but it was like she was doing some strange hand movement because it didn't get my hat on my head. Putting hands inside and stretching over your head. It was like some strange moist magic that didn’t work for me. I grabbed the edges and stretched it over my head, giving myself a strange Essex facelift when it sprang back. Stupid hats. All my wrinkles were now at the top of my head though. And goggles. Apparently I had to wear goggles. I had visions of myself looking like a cool swimming Morpheus. I didn't look like a cool swimming Morpheus. I looked like a turtle. A very surprised turtle. With a rainbow coloured head. However Swim Coach Dave was lovely. He didn’t have a shouty voice OR a whistle. Instead, he gave clear instructions that made sense even to me with my I’d-LIKE-to-have-a-memory-like-a-goldfish-but-my-memory-isn’t-that-good memory. We swam lengths of front crawl up and down the pool so Dave could make an assessment of us and decide the best way to start making improvements. And possibly check to make sure we didn’t need armbands and a demotion to the kiddy pool. Quickly he spotted that I was holding my head too high to breathe, which meant that my breathing was awkward and threw the rest of my stroke off balance. To sort this out Dave told me to look down at the bottom of the pool and to try to move my head with my body to breathe. It was such a simple change, but one that immediately made the swimming flow more smoothly. To correct some further problems, Coach Dave gave me some drills – simple, repetitive exercises which exaggerated how I should be doing things to demonstrate the principles. Great for me with my 5 second memory and exercises I could use if I decided to swim again. The first drill was to rotate on to one side, kick 4 times, then rotate to the other, take 4 kicks and repeat. As Dave explained it, this encourages a long stroke and getting used to placing your hand as far forward as possible to get the maximum out of your pull. I kept sinking. But I would rather have sunk and bounced gently off the bottom of the pool than fail at my very first drill. I managed a couple of lengths of the pool like this, gaining confidence and trying to remember that even if I DID sink, I was wearing my Hat-of-Many-Colours and someone would be sure to spot me and rescue me. Dave explained the importance of keeping your elbows high and gave me a second drill to lengthen my stroke that he called 'catch up'. This entailed keeping one hand out in front until you tagged it with the other hand. This was a fun exercise and I was getting more used to being in the water now. I was managing to avoid both sinking and drinking the pool water. Things were looking up. The next challenge Coach Dave gave me was to put everything I'd learned today together and make it feel fluid. It was great to feel the difference to my swimming from the beginning of the session, now I just had to try and make it natural. More focus, less flailing. I practised a few lengths and it started to feel much smoother. Dave timed me for 2 lengths while I was concentrating on technique and then again when I was trying to go as quickly as I could. I was surprised to learn there was only 1 second time difference although the effort levels felt very different. It was a good lesson and emphasised the importance of good technique and low effort vs attempted speed and windmilling at the water until you get to the other end of the pool by sheer force. It was a great coaching session and one I thoroughly enjoyed. 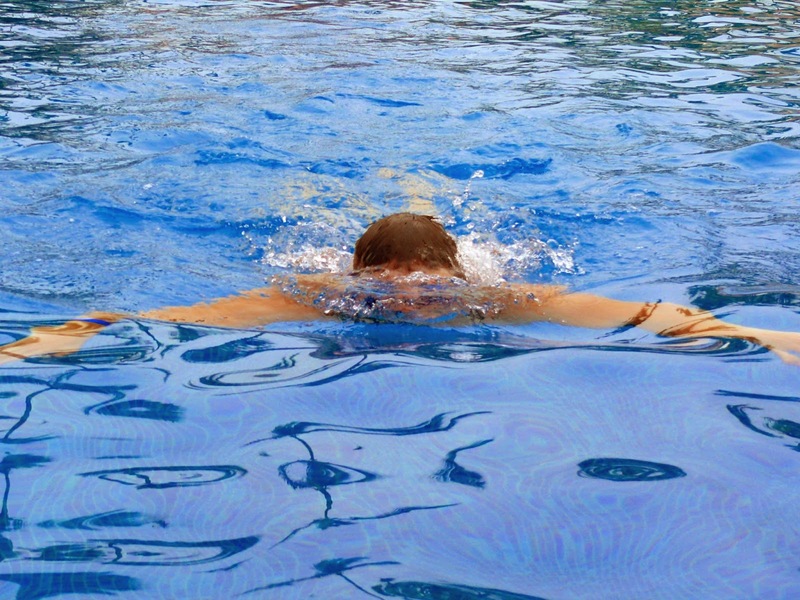 I hadn't been to a pool to swim properly for years but I suspect I will be back again … and very soon. With my multicoloured hat and amazing lump-hiding-swimsuit. If you see me sinking, please don't worry, I'm only practising my drills. Thanks Taff! Really, really enjoyed it and so glad I went! Almost ducked out beforehand too!! Swimming is a little out of my comfort zone, but I gave it a go when I was injured last year. I remembered my knickers, but had no hat, and during two sessions I lost my hairband during lengths. I like to think it made me look like a mermaid with long, flowing locks, but in reality I just got a lot of hair in my mouth and when I came to surface it was spread across the front of my face making it hard to see. I think a hat would be a good investment for future swim sessions! Well done for getting in the pool - first step to the swimming addiction - trust me! Your posts still make me laugh everytime Sarah - I can imagine the turtle look it's very fetching hehe! The catch up drill is one of my favourites weirdly enough, it's so much better than some weird saluting type of affair I got given recently that was one that even made me start sinking. p.s loving the new design (sorry I've not been on for ages) great that you used Kate too she's great isn't she? Uh oh …! So is this to be the start of a swim addiction then? Just don't mention the 'tri…' word! A saluting drill? That sounds very strange! Are you sure the coach didn't get the idea of military and swim drills mixed up? :) Thanks! Yes I contacted Kate after seeing how lovely your blog looked! I've been having swimming lessons since June, so I've gone through the nightmare of shopping for a swimming costume in Sports Direct and trying to put on a swimming cap (which is impossible with my hair)!